We are offering C95500 Aluminium Bronze Ingot to our client. Nickel beryllium master alloy is produced in up to 20 kg ingots that can be crushed at a customer’s request to pieces of up to 100 mm size. Material Composition: Alloy as per customer specification. 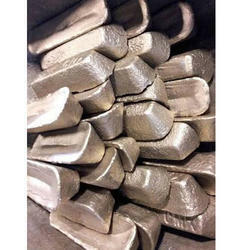 - Owing to our several years of expertise in the domain, we are indulged in offering an excellent quality range of Aluminium Alloy Ingot ADC12. 1. Grade 90: Chemically It Contains 90% Tin, 6.5-7.5% Antimony, Lead 0.3% Maximum, Copper 2.5-3.5%. 2. Grade 84: Chemically It Contains 84% Tin, 9-11% Antimony, Lead 0.3% Maximum, Copper 5.0-6.0%. 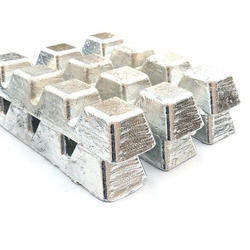 These Aluminium Ingots are of 99.7% purity. We can supply you all kinds of ingots, carbon, alloy. please send us your inquiry for ingots.